Welcome Charleston’s Shem Creek Boogie Band Friday July 29 with boat rides offered at 5, 6, & 7 pm. Come for dinner and stay for the show when the gardens stay open late. The Zoo with Nature Connects Art with LEGO Bricks®exhibit and Enchanted Storybook Forest are open until 8 pm. Carolina musician Jeff Edwards will be the guest musical artist June 19, 2-4 p.m., in Spartanburg, SC, at Chapman Cultural Center’s weekly Sundays Unplugged program. As a singer, songwriter, and guitarist Edwards’s music reflects the beauty and complexities of life with a laid-back and ballad-like feel. As a developing artist, Edwards was greatly influenced by the music of Simon and Garfunkel, Pink Floyd, Pearl Jam, and Stone Temple Pilots. In recent months, he has performed at Smileys Acoustic Café, Barley’s Taproom, The Twisted Pear, Ike’s Korner Grill, Stomping Grounds Coffee, downtown Forest City, and downtown Rutherfordton. He is currently working on an album. To sample his music, please visit online:JeffEdwardsMusic.ReverbNation.com. In addition to Edwards’s free concert, Sundays Unplugged will feature free admission to Spartanburg Art Museum, Artists’ Guild of Spartanburg Gallery, and Spartanburg Regional History Museum. Very often, local artists set up booths in Chapman’s plaza to sell their work directly to the public. Sundays Unplugged, 1-5 p.m., is a longstanding program that provides the public with a no-stress and no-cost opportunity to experience local art and culture. For more information, please call 864.542.ARTS. Rhythm and blues musician Travis Smith will be the guest artist at Chapman Cultural Center June 12, 2-4 p.m., presenting a free concert as part of the venue’s weekly Sundays Unplugged program. Smith has been featured on TV’s Your Carolina morning show and taken to the stage throughout South Carolina, North Carolina, and Georgia, including at Fall for Greenville, Bele Chere (Ashville, NC), and The Cherry Blossom Festival (Macon, GA). Growing up in Woodruff, he was introduced to music at 3 years old, inspired by Stevie Wonder and other Motown artists. By the time he was 6 years old, he was playing piano and singing at his church. In school, he became a drum major for the Woodruff High School Marching Cadets, winning three trophies of Best Drum Major. His velvety voice won him an award for Best Male Vocalist at the L. Water’s Talent Show in 2005. He was the opener for six-time Stellar Award-winner and Grammy Award Winner gospel recording artist Vashawn at Spring Fling 2013. In college, he was cast in plays and performed with choral groups. Smith’s first album Childhood was released in 2009, and his latest release, Thinking of You, was released 2013. He is currently working on his Self-Tilted album, expected to be released later this year. To sample his music, please visit TheTravisSmithProject.com. The Abbey Elmore Band, a popular pop/rock band of Spartanburg, will be the musical guest at Chapman Cultural Center Sunday, June 5, for the venue’s weekly Sundays Unplugged event. This free live concert will start at 2 p.m. and end at 4 p.m.
Fronted by Abbey Elmore, the band strives to deliver a memorable experience, from live shows to listening on your iPhone. The band and its original music are a cross between modern day pop and old school rock ‘n’ roll, producing a very unique alternative sound. Its members are Elmore, Tyler Tullis, Nick Wells, and Donnie Elmore. To sample the band’s music, please visit online: ReverbNation.com/TheAbbeyElmoreBand. Every Sunday afternoon, 1-5 p.m., Chapman Cultural Center hosts Sundays Unplugged, an event where patrons can enjoy local arts and culture in a no-stress and no-cost environment. In addition to the free concert, Spartanburg Art Museum, Artists’ Guild of Spartanburg Gallery, and The John F. Green Spartanburg Science Center are all open. Spartanburg, SC, singer/songwriter Jeremy Willis will be in concert at Chapman Cultural Center in Spartanburg Sunday, May 29, 2-4 p.m. as part of the venue’s weekly Sundays Unplugged program. The public is invited to enjoy the live music at no cost. Willis started his music career in church performing at the age of 8. By 15, he had performed on the stage at the Carolina Opry. As a teenager, he was a self-proclaimed band geek. After graduating high school, Willis enlisted in the Navy, where he was in the Triple Threat Company and director of the Naval Band. Since then, he has continued to write his own music and perform publicly. His more recent accomplishments include performances at many local restaurants, entertainment venues, and television shows. He has played at Chapman many times. His music is often said to resemble that of James Taylor, Rob Thomas, Matchbox Twenty, and Chris Cornell. For details about Willis and to sample his music, please visit ReverbNation.com/JeremyWillis. The Lowcountry Jazz Band, conducted by Director David Hershey, and sponsored by the University of South Carolina’s Osher Lifelong Learning Institute (OLLI), hosts its spring concert Sunday, June 5 at 3 pm at the USCB Center for the Arts in downtown Beaufort. The band is a sub-group of OLLI’s Lowcountry Community Concert Band. The program’s theme – cross currents – pays tribute to pop tunes adapted for the big band setting and genre. Selections span more than 70 years, from 1938 (A Tisket A Tasket- Ella Fitzgerald/ Chick Webb) to 2012 (Skyfall- Adele) illustrating the range of styles a big band performs. Additional offerings include pieces as diverse as Get Happy, Walk Don’t Run, Don’t Know Why and Here Comes the Sun. The Lowcountry Jazz Band is primarily an academic group that promotes and curates jazz in the context of a large ensemble dynamic or big band. The Jazz Band’s members recreate the sounds and styles of the many famous bands of the Big Band era. For more information, see the band’s website: www.ollilccb.com. Spartanburg singer/songwriter Corey McDaniels will play a free concert at Chapman Cultural Center in Spartanburg, SC, Sunday, May 15, 2016, 2-4 p.m. as part of the venue’s Sundays Unplugged program. McDaniels has played in several regional bands, such as Asheville’s Young American Landscape. In addition, he has several musical projects in the works. He utilizes ambient textures, groove, and loops to create music that is equally influenced by progressive rock groups like Pink Floyd as it is by minimalist composers such as Steve Reich. McDaniels self-released the first Wounded Hollow EP in 2014 titled Seed, and he currently performs new material from an upcoming release on electric bass and guitar. Previews of his work can be found at WoundedHollow.Bandcamp.com. Sundays Unplugged, 1-5 p.m., is a longstanding outreach program by Chapman Cultural Center that encourages patrons to enjoy local arts and culture in a no-stress no-cost environment. In addition to the weekly free concert by a local musician, Spartanburg Art Museum, Artists’ Guild of Spartanburg Gallery, Spartanburg Regional History Museum, and the Students Galleries are open and free. Also, local artists sometimes set up booths in the plaza and sell their work directly to the public. For more information, please visit online ChapmanCulturalCenter.org. or call 864.542.ARTS. Production by Anita Singleton-Prather and The Gullah Kinfolk in historic Beaufort, South Carolina, at the University of South Carolina Beaufort campus Center for the Arts. The evening includes a taste of Gullah soul food buffet, artist showcase and marketplace, full stage musical with Aunt Pearlie Sue and Gullah Kinfolk: Christmas Wish Freedom Coming. Meet Diane Britton Dunham and many more featured artists exhibiting before the show. Sample local Gullah foods and mingle with local chefs. Freedom Coming is a significant performance that shares the Sea Island Gullah tradition with audiences in a new way, performed by Anita Singleton-Prather and her singing ensemble The Gullah Kinfolk from Beaufort, South Carolina. It is Christmas 1860, the last Christmas before the Civil War begins. The scene is a Sea Island slave cabin where enslaved Africans are anticipating Christmas day and talking about freedom. Gullah songs and storytelling include everything from spirituals, work songs and play songs to rhythmic, foot stomping ring shout songs that are unique to the Gullah praise house traditions. Book tickets at this link or call the Beaufort County Black Chamber of Commerce 843-986-1102 to reserve your tickets for the Gullah performance, feast and art show or to arrange a weekend tour including history, culture and entertainment. Tickets are $35 at the door, $30 advance and $10 for children. Special group rates are available. Regional singer-songwriters perform weekly at Chapman Cultural Center in Spartanburg, SC, as part of its Sundays Unplugged program. Open 1-5 p.m. every Sunday, the center provides casual and cultural entertainment for all ages, most notably with its free concert series featuring a different band or musician of varying genres each week, 2-4 p.m. Art and history museums are open with free admission to complement the music. 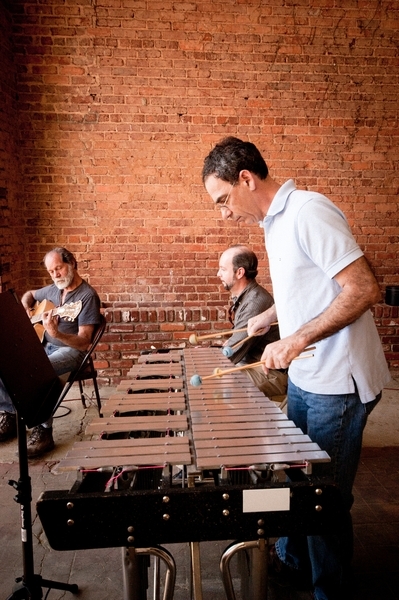 Featured Sunday, Feb. 22, is jazz percussionist Daniel Z. Known in the Upstate for his fluidity and improvisation on the vibraphone, a xylophone-like instrument also known as the vibes or vibraharp, this native New Yorker has also performed throughout the United States, as well as in parts of Europe. He became a local musical phenomenon after moving to South Carolina several years ago. Though primarily a solo vibraphonist, Daniel Z is joined at times by fellow singer-songwriters to create the Daniel Z Trio or Quartet, featuring bass, guitar, voice, piano, flute, and/or trumpet. He is known for switching up the arrangement, or even genre, varying anywhere from modern jazz to bossa nova to swinging jazz. 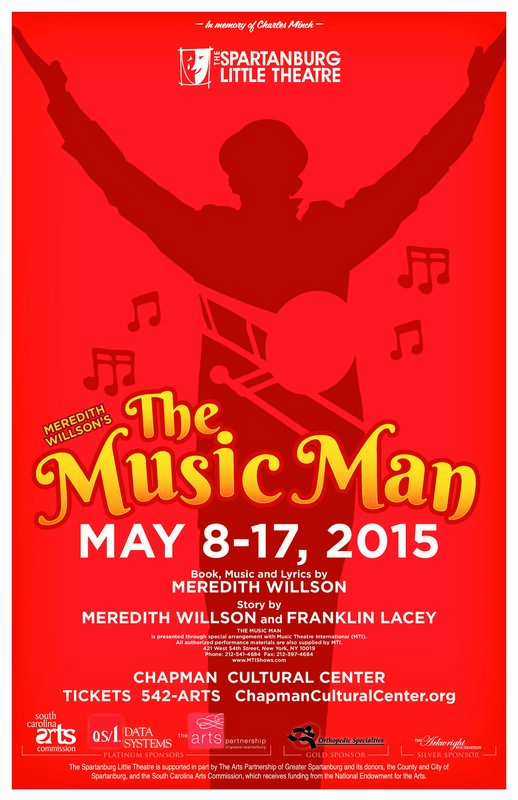 Sundays Unplugged will also give patrons the opportunity to audition for The Spartanburg Little Theatre’s upcoming production of The Music Man. Visitors with acting and vocal experience interested in joining the SLT cast may audition 3-6 p.m. in the Black Box Theatre. Roles are available for varying ages and ethnicities. Auditioners must arrive at least 15 minutes early, prepared with sheet music to perform a musical theatre-style song. Accompaniment will be provided. All Sunday activity is complemented by free admission to Artists’ Guild of Spartanburg, Spartanburg Art Museum, Spartanburg Regional History Museum, and the Student Galleries. Spartanburg Science Center is open with a small entrance fee. For more information on Sundays Unplugged activities at Chapman Cultural Center, visit ChapmanCulturalCenter.org or call (864) 542-ARTS.